I just got done writing up another New Haven NHL, the James Dwight Dana House. (CTMQ Visit here.) I claimed it to be my favorite one to learn about. I claimed too soon I think… Because I’m loving this Marsh guy. I already knew a bunch about him and his rather impressive and adventurous life in paleontology. Y’know, Yale really is an incredibly impressive place. The guys who came through here in the 19th century were just so important. Marsh was no different, but he was just another in the line-up with Benjamin Silliman, Dana, Lafayette Mendel (His NHL House visit here), Chittendon (His NHL House visit here), on and on. Boola boola. Marsh is probably the most well-known of this cadre, as anyone who has been to the excellent Peabody Natural History Museum surely remembers, all those dinosaur fossils are pretty much there because of Marsh. More on that in a bit, but You can read my visit to the Peabody here. 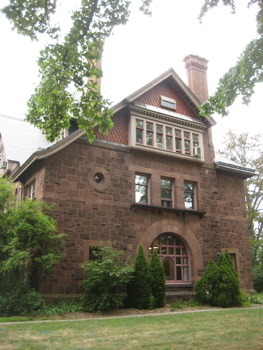 Marsh Hall, formally known as Othniel C. Marsh House, is a historic house at 360 Prospect Street on Prospect Hill in New Haven, Connecticut. 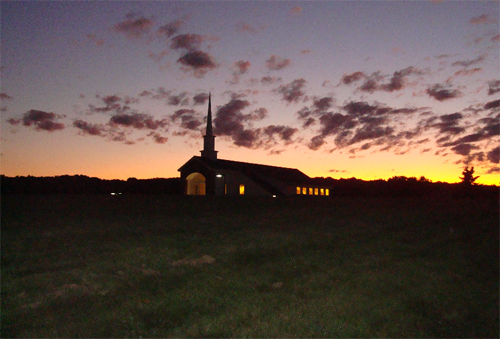 The property, which includes the house and an additional 6.8 acre area, was declared a National Historic Landmark in 1965. The four-story brownstone house was built in 1878 and was designed by J. Cleaveland Cady as the residence of Yale professor and paleontologist Othniel Marsh. Marsh left his estate to the university in 1899. The house and surrounding gardens were the first facilities of the Yale School of Forestry. Obviously the coolest thing about Marsh is that his name was Othniel. But beyond that, the man led quite a life in science. Let’s turn to Wikipedia for some help. Othniel Charles Marsh (October 29, 1831 – March 18, 1899) was an American paleontologist. Marsh was one of the preeminent scientists in the field; the discovery or description of dozens of news species and theories on the origins of birds are among his legacies. Born into a modest family, Marsh was able to afford higher education thanks to the generosity of his wealthy uncle George Peabody. After graduating from Yale College in 1860 he traveled the world studying anatomy, mineralogy and geology. He obtained a teaching position at Yale upon his return. From the 1870s to 1890s he competed with rival paleontologist Edward Drinker Cope in a period of frenzied Western American prospecting now known as the Bone Wars. Ah yes, the Bone Wars. Marsh and his many fossil hunters were able to uncover about 500 new species of fossil animals, which were all named later by Marsh himself. In May 1871, Marsh uncovered the first pterosaur fossils found in America. He also found early horses, flying reptiles, the Cretaceous and Jurassic dinosaurs; Apatosaurus and Allosaurus, and described the toothed birds of the Cretaceous; Ichthyornis and Hesperornis. If you click on one link, make it this one: The “Bone Wars” is a fascinating story. The so-called “Bone Wars” were waged against Edward Drinker Cope. The two men were fiercely competitive, discovering and documenting more than 120 new species of dinosaur between them. Marsh eventually won the Bone Wars by finding 80 new species of dinosaur, while Cope only found 56. Marsh achieved this by buying Cope’s quarry sources out from under him, surprising Cope, who was originally his student. Cope did not take this lightly, and the two fought within scientific journals for many years to come, rumored to be at the expense of recognized scientific method. And that’s a shame, but sort of understandable I guess. As I said earlier, Marsh’s finds formed the original core of the collection of Yale’s Peabody Museum. The museum’s Great Hall is dominated by the first fossil skeleton of Apatosaurus that he discovered (but called “Brontosaurus”). And check this out: The list of dinosaur genera he named – which doesn’t touch on the number of actual dinosaurs he named! He had two dinos named after him too – Othnielia and you guessed it, Marshosaurus. I should note that the Peabody is great. 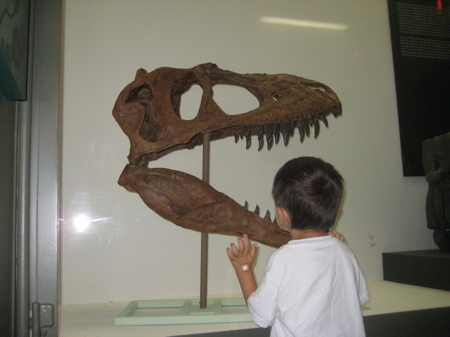 It’s the rare museum that appeals to everyone between 3 and 103 and the Marsh skeletons and fossils still dominate. 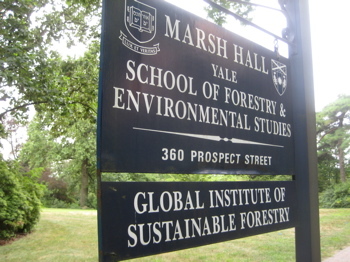 As for Marsh’s house, it now houses the offices of the Yale School of Forestry and Environmental Studies. 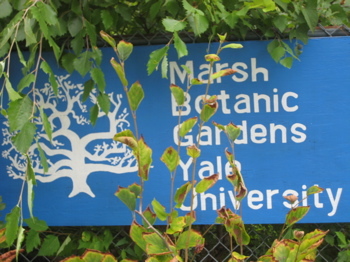 The grounds surrounding it are now known as the Marsh Botanical Gardens, which are being refurbished in 2010/2011 and beyond. They do contain some incredible greenhouses that are a worthy museum-like visit on their own.